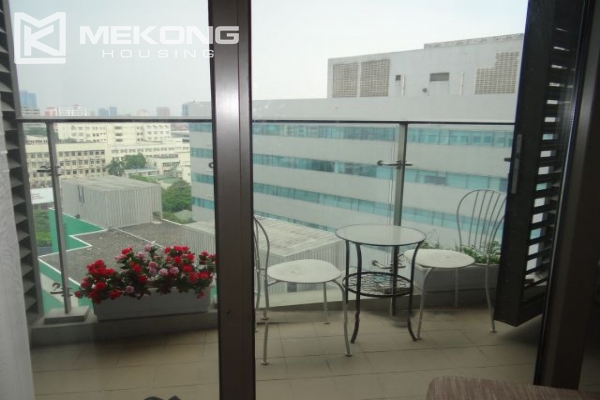 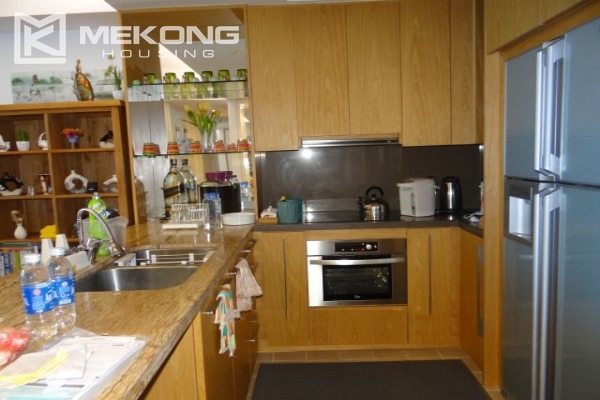 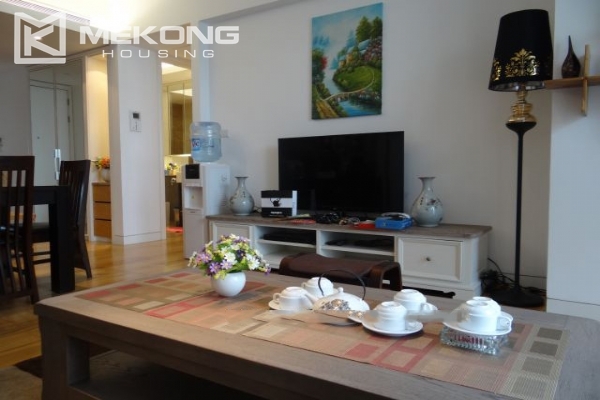 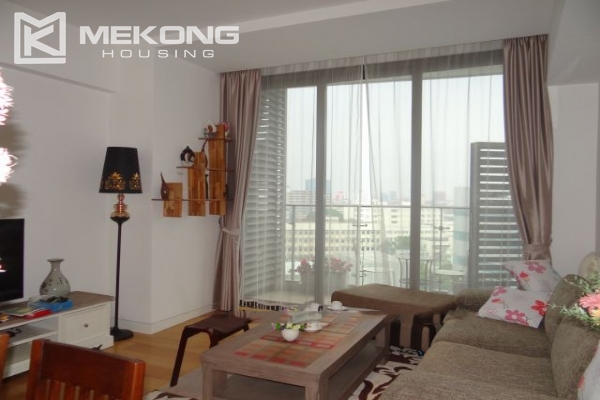 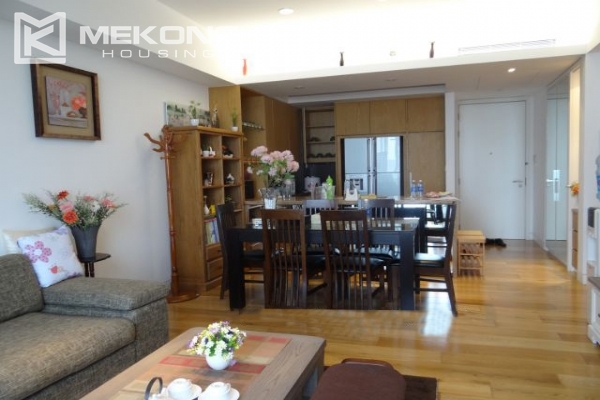 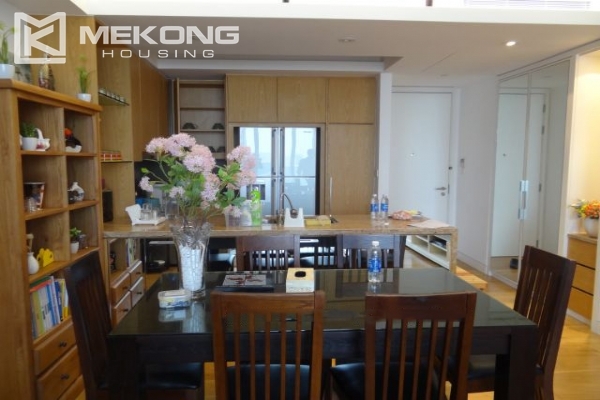 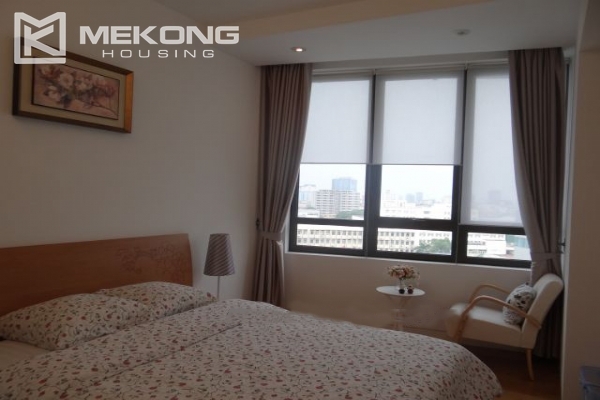 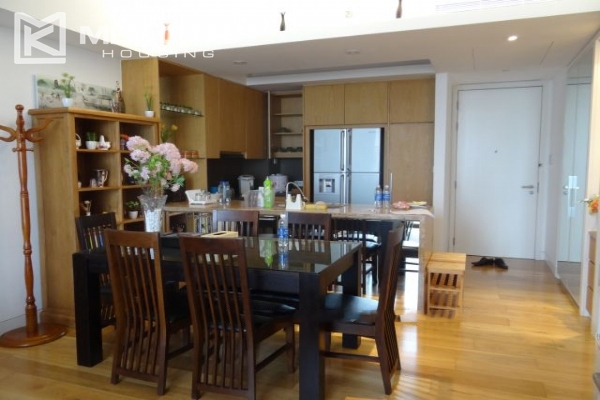 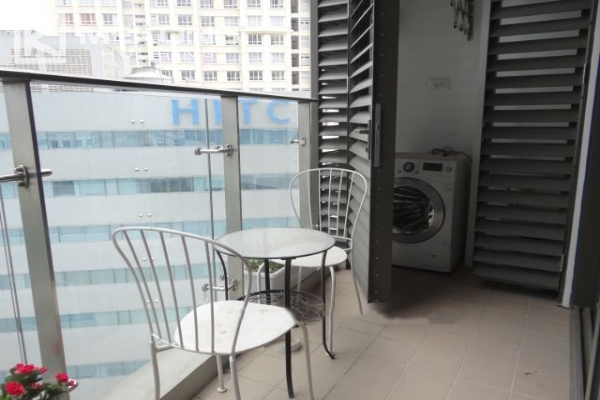 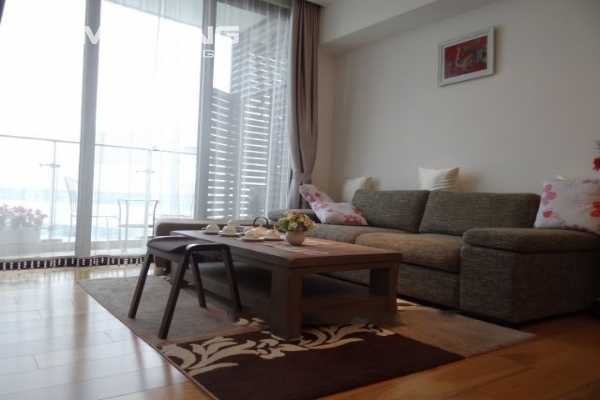 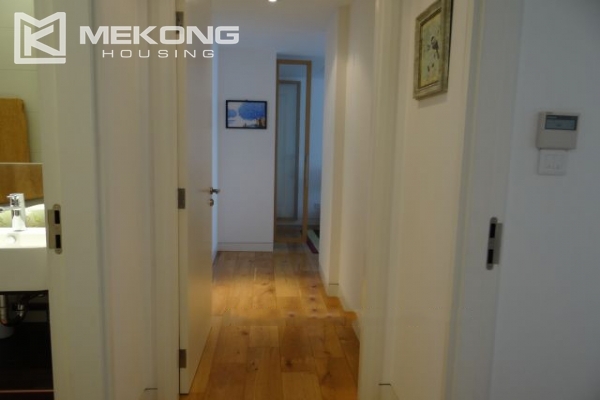 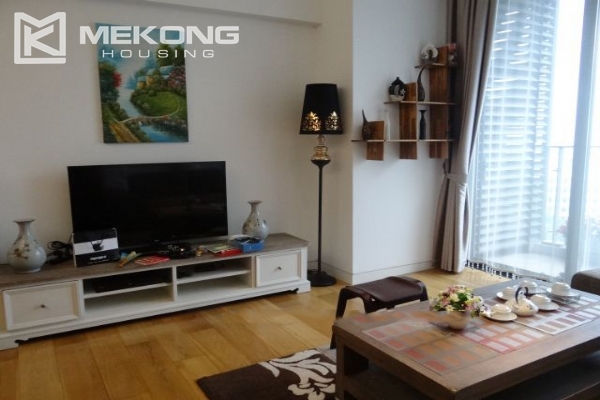 This rental apartment has total living area of 93 sqm, composed of 2 bedrooms, 2 bathrooms with bath-tub and walk- in shower, a nice living room, a well equipped kitchen, a balcony with 2 chairs and coffee table, ideal for enjoying the beautiful view of Hanoi city. 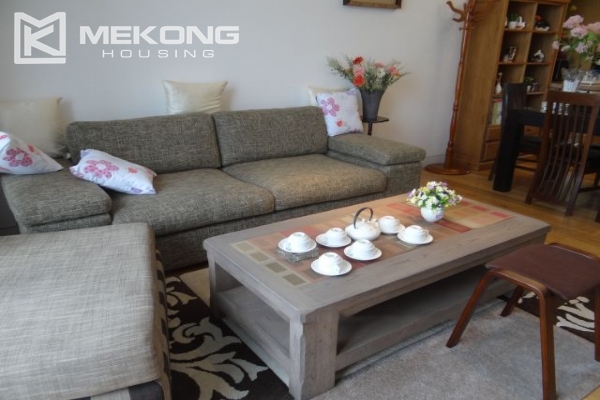 It is fully furnished with high quality and modern furniture, built in Air-con, new TV, fabric sofa, hardwood floor, side by side refrigerator, and oven…. 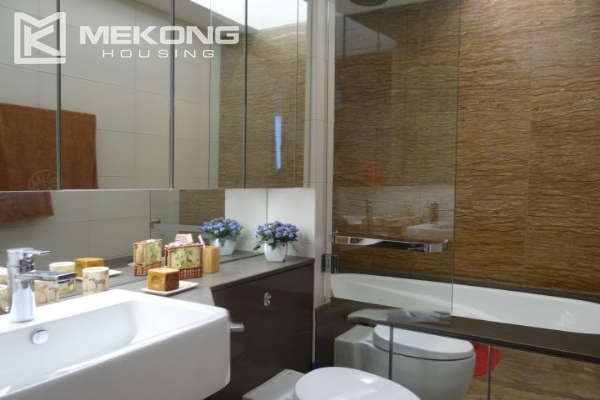 Indochina Plaza Hanoi offers residents many facilities such as fitness center, shopping center, restaurants, Highland Coffee, shop, swimming pool, large basement and first professional management team, 24/24 ensure high safety for you.